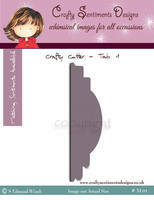 We are very happy to bring you our own range of exclusive cutting dies called 'Crafty Cutters', made from quality metal here in the UK. 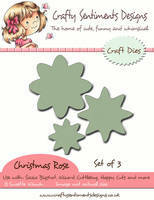 These dies will fit perfectly with our range of sentiments and shape stamps. These dies can be used with most cutting machines that's on the market. 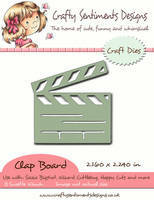 example Cuttlebug, Happy Cuts, Vagabond, Bigshot from Sizzix and Wizard and can cut a variety of materials. 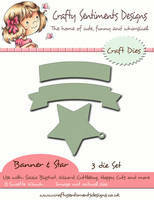 We will be releasing dies to match and coordinate with our range of stamps on a regular basis. They can also be used with other products too.